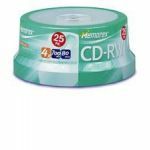 Recordable and rewritable CDs - reliable publishing and distribution media. 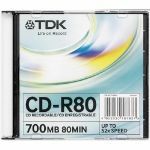 With the large and expanding installed base of CD-ROM drives, CD-R and CD-RW have now become popular media for low-volume publishing and distribution of data, as well as mass storage and long-term archiving. 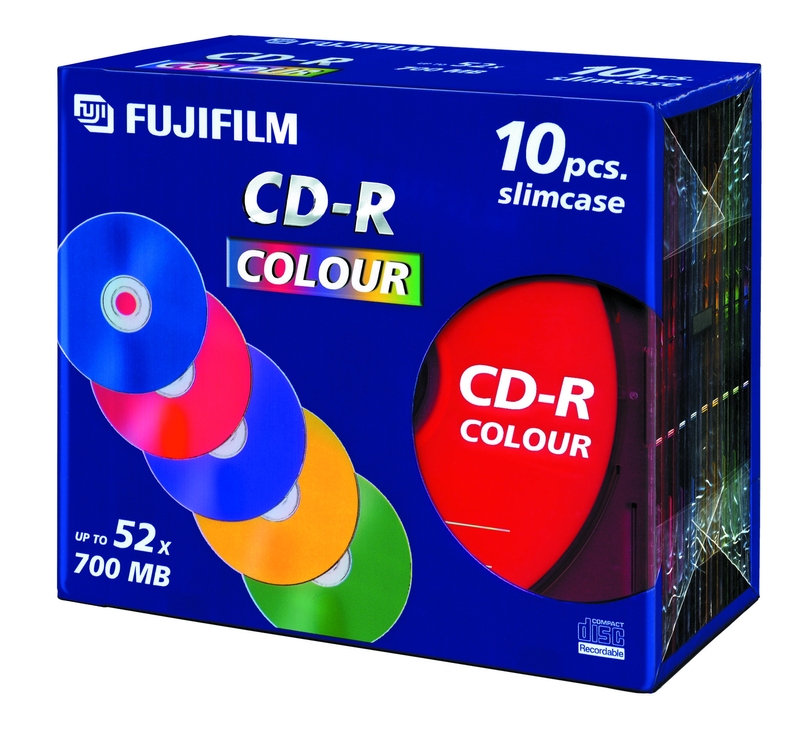 Fujifilm CD-R and CD-RW discs offer ideal CD-recorder drive compatibility. 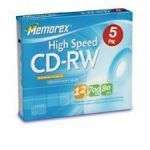 Whatever your needs might be, Fujifilm CD-R and CD-RW provide the gold standard in recordable optical discs. CD-RWs from Fujifilm incorporate a rare earth metal alloy-Ag-in-Sb-Te*- featuring a unique phase-change property that allows data to be written to the disc again and again. Thanks to improved sensitivity in recording and erasure, rewritability is enhanced, allowing up to one thousand write/rewrite cycles. Rigorous testing has confirmed that Fujifilm CD-Rs are compatible with almost all CD-R writers and CD-ROM drives. Fujifilm CD-RW, with its unique, high-sensitivity phase-change recording layer, boasts a wide power margin to assure broad drive compatibility including multi-read CD-ROM, DVD-ROM and DVD-RAM drives. Fujifilm CD-R and CD-RW discs have superior working life, offering over a million read passes without data degradation. And for archiving they are simply unsurpassed. 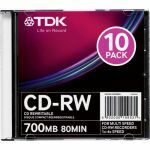 CD-RW gives you 30 years of safe data storage, while CD-R provides an astonishing 70-100 years archiving capability.